It's 2015; a new year filled with new possibilities for your business. This year your resolution should be to make an impact. It's time to think big when it comes to marketing your small business. We're talking large format decals for your windows, doors, walls and floors. Stick your branding anywhere you want it. 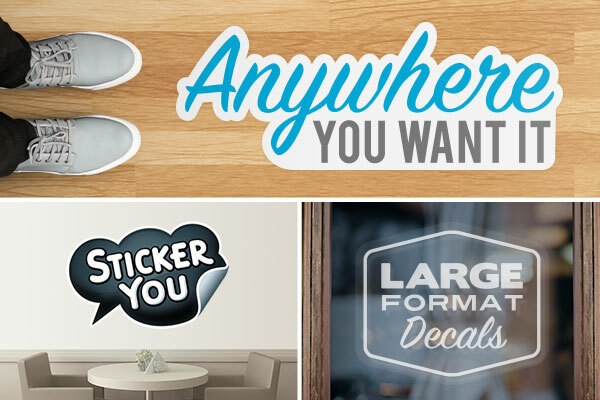 When it comes to large format decals, StickerYou has the material that will ensure your message sticks to whatever surface you want. Check out all the options below to figure out what will work best for your needs. All products available in any size, any shape and any quantity you need. As always, if you have any questions or concerns about these products, we will be happy to help. Please fill in the quote form at the bottom and a member of our sales crew will be in touch shortly. Indoor Wall Decals for Smooth Surfaces - these decals work best when applied to smooth painted walls or glass windows. they will apply bubble free and have great colour reproduction. The adhesive is strong enough to ensure they will stick well but can be easily removed without causing any damage to the wall or leaving behind any glue residue. 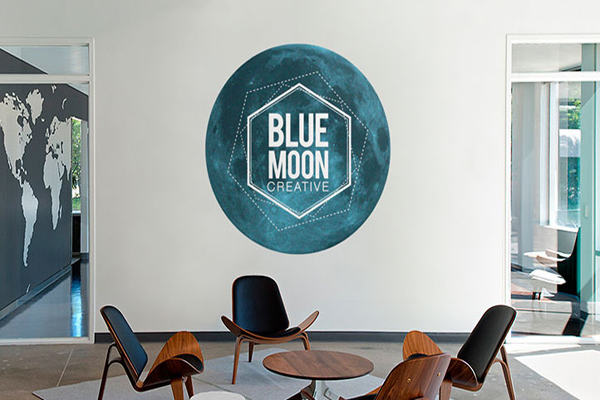 Perfect for branding your office space or store walls. 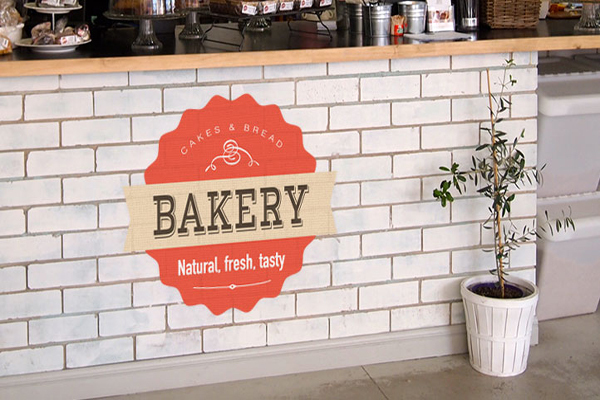 Indoor Wall Decals for Rough Surfaces - these decals are ideal for application to rough surfaces indoors such as exposed brick, concrete, paneling and more. The adhesive will adhere well to the rough grooves of the surface and has a slightly stronger stick which will ensure it stays in place.This materials can also be removed without causing any damage. Outdoor Wall and Street Decals - perfect for signage that needs to battle the elements. This material will withstand rain, sun, snow and extreme temperatures. This special aluminum-based material adheres and conforms to the rough surface of brick, concrete or sidewalks. 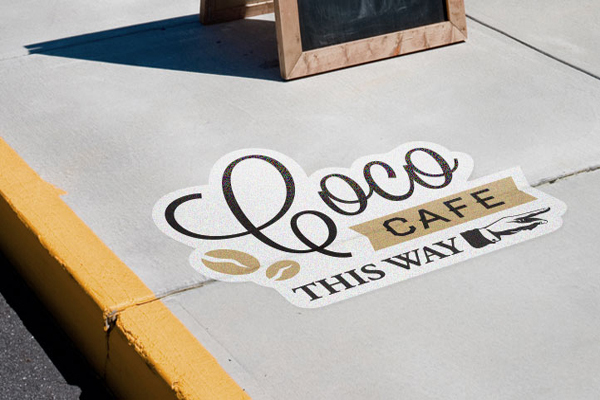 These durable decals have a non-slip surface and are sure to attract attention and point your customers in the right direction. Easy to apply and easy to remove. 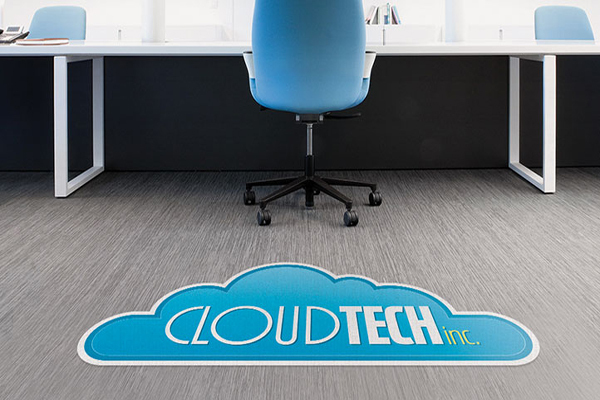 Indoor Floor Decals - This material looks great on your floors and is strong enough to withstand being walked all over. The durable material is waterproof, heat resistant and will stick great to any smooth surface indoors. Great for branding within your business or for temporary use at events. It can be removed easily without damaging the floors. Even hardwood floors. 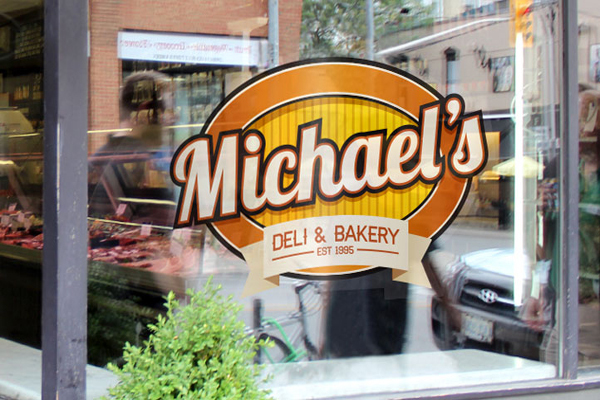 Vinyl Lettering for Walls or Windows - enhance the walls or windows of your work space or personal space with vinyl lettering die-cut to your exact design. This material cuts out all the negative space of your design leaving only the details. Ideal for use on smooth walls or windows. These decals are delivered with a masking and a backing. Peel the backing off to reveal the adhesive side of your decals. Use the masking to line up your artwork on the surface then smooth on. Peel off the masking the leave the decals stuck on place on the wall or window. These decals can be removed mess free. 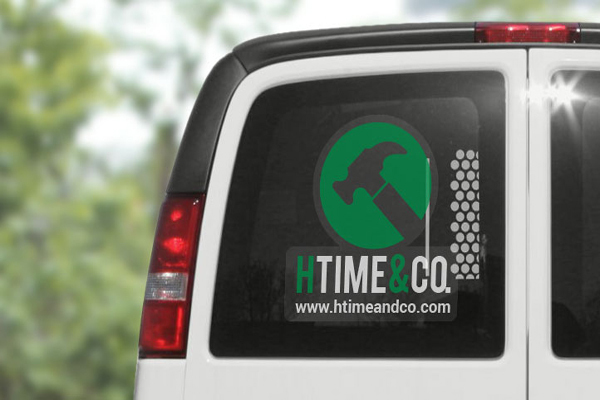 Window Clings - perfect for use in your vehicle or your window fronts. This clear material has a front side stick and uses only suction to adhere to windows. This means no adhesive is used so it can be removed and replaced over and over again. Perfect for short term promotions or for use in personal vehicles. Simply stick it up when you want to use it, and peel it off when you don't want to be promoting your company or products. 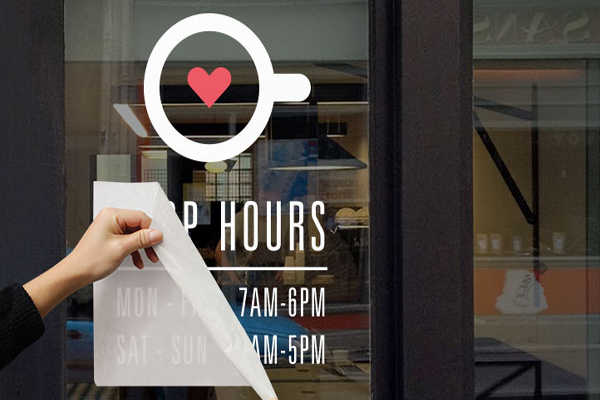 Clear Window Decals - This clear vinyl material is great for use on glass, such as windows or mirrors. The clear material seamlessly adheres to the glass helping your design to stand out. This material has both a front adhesive and back adhesive option, so it can be applied to either the inside or outside of a glass window. Great for use in windows. Clear vinyl material can be removed mess free. 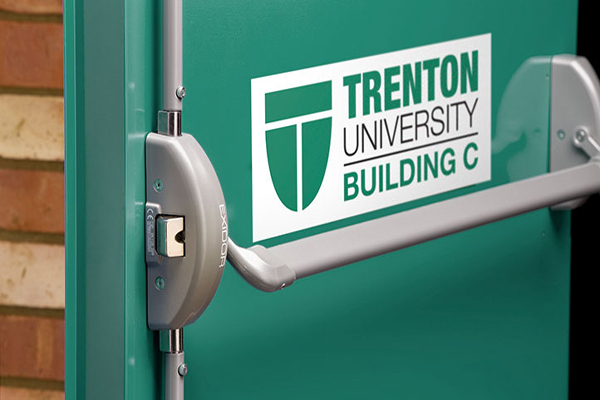 Door Decals - this is a great way to advertise promotions or brand your doorway without damaging solid doors. the vinyl material will apply bubble-free and is waterproof, heat resistant and UV fade resistant. this means you can use it on either outside doors or indoor doors. Door decals can also be removed without causing any damage to the door. If you have any further questions about our products or would like to get started on an order right away, we will be happy to help. Simply fill in the quote form to have one of our sales staff connect with you.